Enjoy the Cincinnati Museum Center for FREE! 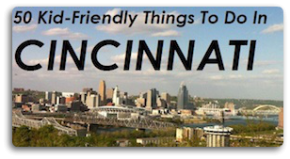 Family Friendly Cincinnati just received word from the Cincinnati Museum Center about an outstanding bargain Cincinnati families don’t want to miss! Buy a 2011 membership before August 31st and receive the rest of 2010 for FREE! So all the upcoming fun this fall and during the holiday season is yours for the low price of nada! A family membership is only $130 and it includes parking! That works out to be less than $9 a month with the bonus months included. So call them today or go online to take advantage before this deal disappears!